The CALLA Handbook is an indispensable resource for all teachers who are responsible for teaching core curriculum subjects to language minority students in ESL or mainstream classrooms, at-risk students, and all students in bilingual and foreign language classrooms. 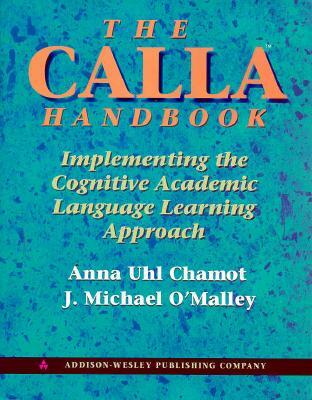 Written by experts in the field, The CALLA Handbook (Cognitive Academic Language Learning Approach) integrates the latest research on learning strategies with actual classroom-tested activities. -- Rationale and background information on CALLA. -- Effective learning strategies with classroom-tested activities for ESL and bilingual students. -- Hands-on content area lessons in science, math, social studies, and literature. -- Cognitive Academic Language Proficiency (CALP) and authentic assessment tools and evaluation for both teachers and students.